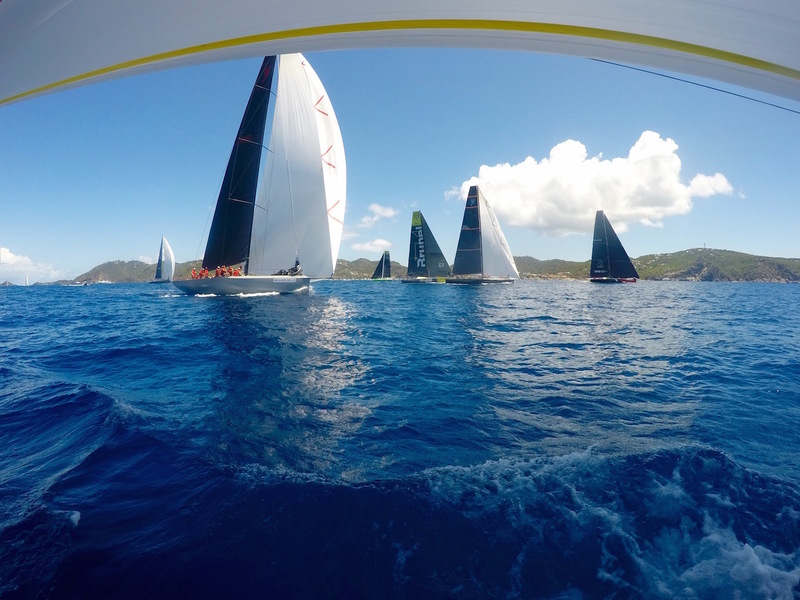 Having just returned to planet Earth after racing aboard a brand-new, 100-foot-long racing yacht at Les Voiles de St. Barth (and swimming, and running, and partying, and lounging by the pool at our beachfront villa), it’s easy to see why some of the biggest and best race boats and crews in the world continue to descend upon this hilly enclave of exclusivity in the French West Indies every April. This is my “under the kite” shot. St. Barth is simply unlike any other island in the Caribbean (or the world for that matter). Its impossibly blue waters, impossibly exclusive accommodations, and unique combination of French sophistication, Caribbean charm, rocking night life, friendly people, and natural beauty always put it at the top of every “best-vacation-destination-in-the-world” list. But, I can also report from first-hand experience that this tiny island in the French West Indies is even more special during the Les Voiles de St. Barth regatta.